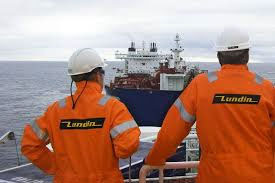 Lundin Petroleum revealed in its 2015 half year results statement that it has cut its production guidance from previous forecasts of between 41,000 to 51,000 barrels of oil equivalents per day to 32,000 boepd. The company also announced on Wednesday that it has completed a successful appraisal well on the Edvard Grieg field, offshore Norway. The revised forecast is due to lower than expected production figures from the Brynhild field, located offshore Norway, and Edvard Grieg topside installation delays. After coming online in December 2014, Brynhild produced just over 3,000 barrels of oil per day during the first half of 2015, which was over 60 percent below forecast according to a statement from Lundin CEO C. Ashley Heppenstall. Despite its guidance decrease, Lundin Petroleum is still targeting a 2015 exit production rate of 75,000 barrels of oil per day.